The NHS reforms and wider mix of health stakeholders pose a challenge to those in PR. 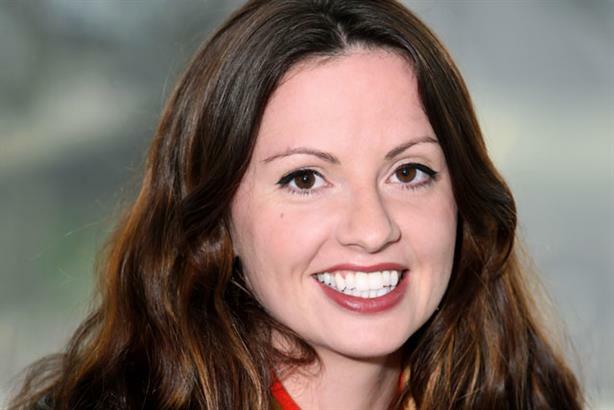 Camilla Horwood is head of health public affairs and market access, UK, Edelman. There has been no shortage of opinions about the impact of the Health and Social Care Act 2012 and the new NHS landscape, which emerged on 1 April. However, for those in comms and public affairs, far less consideration has been given to how the new NHS organisations - such as the NHS Commissioning Board, Clinical Commissioning Groups and Health and Wellbeing Boards - will interact with each other or how healthcare providers, pharma firms and the third sector can meaningfully engage with them. For communicators, one of the most significant impacts of the new NHS infrastructure is the complex mix of important health stakeholders now operating with a local focus. These represent important stakeholders with whom clients can forge meaningful relationships. To be successful at this, proper attention needs be paid to understanding their behaviours, interactions, their varying interests, determining where the new points of influence will emerge and understanding how the new lines of accountability will function. For many, the new structure means a significant readjustment in the efforts of traditional sales and marketing roles, and public affairs functions. This will result in a move to models far more concerned with localised stakeholder engagement and advocacy. Looking at a few of the significant local players to emerge, we soon get a flavour of just how multifaceted this new landscape is and the challenges it presents for those in our field. Let us address Clinical Commissioning Groups (CCGs) first. It was initially tempting to form a picture of CCGs as the ultimate influencers within the new NHS system, via their responsibility for local commissioning. In reality though, CCGs are working in far larger cohorts than first expected, with their power and influence being muted, and many of their commissioning decisions being taken in larger committees. These will be scrutinised closely by other powerful local players, which include Health and Wellbeing Boards, and local Clinical Commission Support Units (CSUs). The real power and decision making within CCGs is therefore tricky to map and means that communicators need to extend their influence not only to CCG boards but to the membership of important sub-committees,such as area prescribing committees. CSUs are also going to be a key feature within this new mix, yet little attention has been given to their remit or ability to shape local decision making through their position as a preferred supplier of many services to CCGs. Among other responsibilities, they will perform key duties relevant to commissioning with which pharma firms, independent providers and the third sector can engage. Most significantly, local Healthwatch and Health and Wellbeing Boards are going to be extremely influential players within the new NHS matrix, with strong powers of local health scrutiny. These will be committees consisting of local councillors, directors of public health, representatives of social services, members of Clinical Commissioning Groups and members of Healthwatch. These boards effectively bring all relevant stakeholders to one table, each with their own distinct interests and an ability to influence and shape local health delivery systems. For public affairs professionals at Edelman and elsewhere, this probably represents one of the most significant shifts in how we operate; interestingly signalling a shift away from the power that scrutiny via Westminster effectively once yielded. The reforms have meant that any interested business or organisation now has a far greater number of stakeholders to consider. The landscape has dramatically changed and with it has come the need to monitor and track a moving picture. This has been challenging (and has taken investment). It is also far from finished and continues to evolve, but those agencies who have kept on top of it will have a distinct advantage. While keeping up with the detail of policy change has been tiring, it has given us a far greater grasp on the reality of how the new system will function. One of the most significant developments is the use of mobile technology, such as smartphones and tablets, and their ability to host engaging health apps. For Edelman they represent an ability to help patients’ access educational health material/advice, get help in managing complex, long-term conditions, monitor treatment compliance and connect to people living with similar conditions. I expect that the potential for this technology is only just beginning to scratch the surface of what is possible, and expect that we will see a lot of interesting and exciting developments coming down the track.